A quick, light, and refreshing pasta with tilapia, greens, and a bit of lemon. We usually eat (or at least try to eat) seafood on Saturdays. We're also usually low on groceries since we get those on Sunday. (And now you know another reason I share simple seafood recipes. :P) With the warmer weather, I wanted something light, tasty, and refreshing. And I needed to have everything on hand already. Looking around, I found some last bits of collard greens (kale works well too) and not too much else. I wanted some sort of pasta since we hadn't had any in a while, and I just kinda went from there. Cook up the greens, pasta, and fish, then mix it all together. I threw in some garlic with the collard greens out of habit and cooked the fish up with a bit of lime. (No lemons on hand.) After combining all the components, you can "fancy" it up a bit with some capers and grated Parm. What are some of your favorite quick and easy seafood dishes? Share with us in the comments! 1 bunch greens, chopped I used collards, but most greens should work well. 2 servings pasta I used a combo of gemelli and cavatappi. Heat garlic in a bit of oil until fragrant. Add in greens, and cook until slightly wilted. Meanwhile, cook fish. I just greased a pan and cooked up the fish with a bit of pepper. Grilling is another nice option. 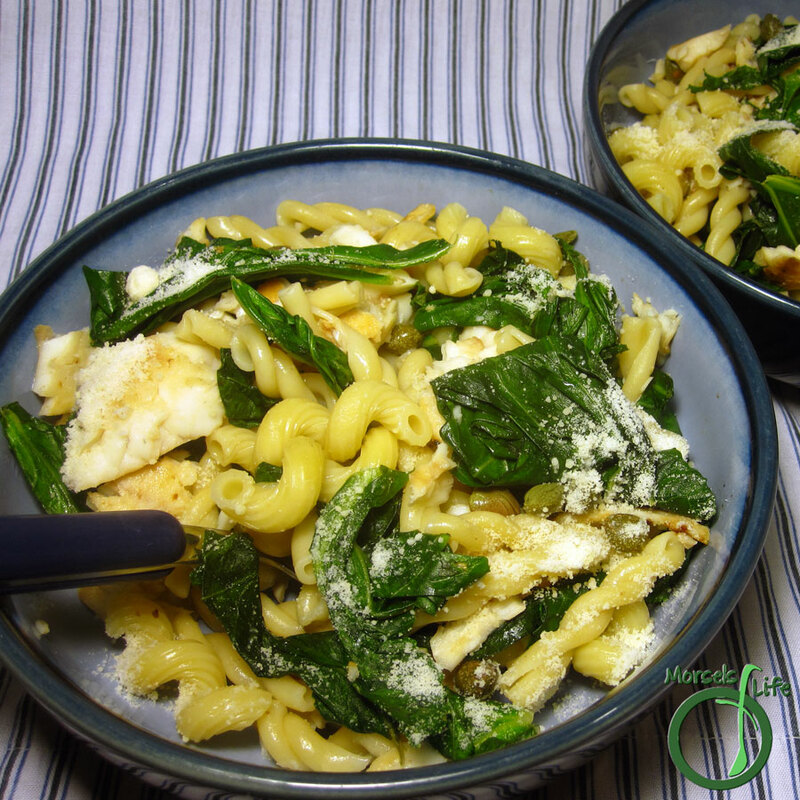 Mix cooked greens and pasta, and then top with tilapia (or mix in like we did). Drizzle with lemon or lime juice, sprinkle on a bit of Parmesan, and then top with capers. This looks awesome! Thanks so much for sharing at Must Try Monday.